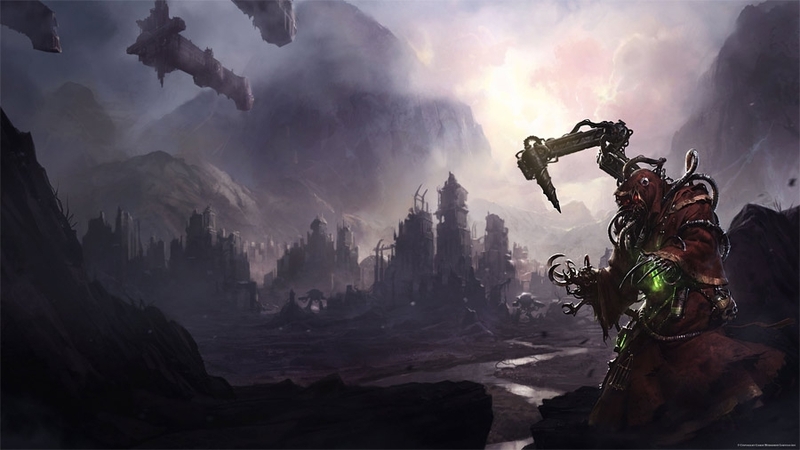 On the surface of a dead planet, in the warrens beneath a desolate hive city long ago struck from Imperial records, sits an ancient engine of forbidden archeotech. Once activated, it will provide ten adventure seeds for the miserable agents of an Inquisitor. Oh, how they will suffer in this grim future! But the Harrowmatrix of Castigation cannot be turned off. You must use one of these seeds in an adventure or it will claim your soul to power its heretical cogs. Roll a percentile die or choose the adventure seed that suits your style. Eldar and Tau were seen shaking hands on the frontier mining world of Croatoan IX. They’ve sent several gifts to the mining colonists and have invited the human colonists to a joint birthday party for a member of the Tau Water Caste named Andy. Somebody has to put a stop to this. An Imperial cruiser has moved into orbit and is ready to begin bombardment. The players must smoke out the location of this birthday party before the candles are blown out on the cake and give the cruiser a firing solution to lay waste to Andy’s presents. The agents must care for an ork baby given to them by their Inquisitor without explanation. He has to go, he has a big meeting with a bunch of important Inquisition people with lots of wax seals on their shoulder pads. The seemingly indestructible ork baby gets up to all sorts of Baby’s Day Out trouble aboard the Inquisitor’s ship. When the Inquisitor returns, he uses the ork baby to convince an ork warboss to call off a waaagh on the Imperial forgeworld that makes fret boards for skull guitars. If the baby managed to die then the Inquisitor sentences all of the surviving agents to arco-flagellation. An ork horde under Warboss Gapteef Butterball is threatening the desolate Imperial bone pile world of Femurious. 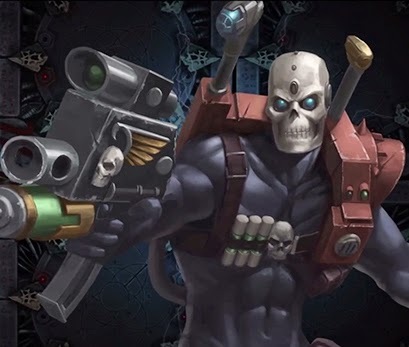 Enraged that the orks would threaten precious imperial mountains of bones, the group’s Inquisitor commands them to hack into the ork’s Komputar and find incriminating photos to be used to blackmail him into attacking the nearby Eldar craftworld of Posh Yoga’ball instead of Femurious. The agents will have to disguise themselves as ork Komputar Fixem Boyz and sneak aboard Warboss Butterball’s Flag Kroozer, Deaf uv da Udder Guyz. But what they find on the Komputar is that Warboss Butterball is actually an Inquisitor in disguise himself and he is attacking Femurious in search of Saint Willowcurve’s long lost shower chair. Will they carry out their mission or help the covert inquisitor accomplish his? The inquisitor dispatches his agents to the Schola Progenium on the planet of Hogpox to investigate the schola’s High Abbot Gandalfus Dumbledore. Assisted by the famed inquisitorial agent, Voldermont, the party must expose a conspiracy to corrupt the children into worshippers of Tzeentch. Agents are to collect evidence of this corruption, everything from wizarding to magical paintings, and report back to their Inquisitor. 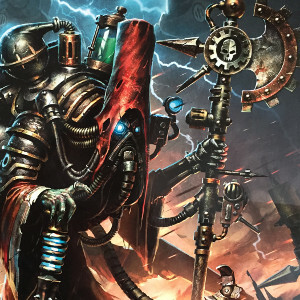 If confirmed, the entire schola will be purged by the Adepta Sororitas supported by orbital bombardment. Gigglingon Flaycheeks, Archon of the Dark Eldar Kabal of the Bloody Paddle, has been raiding Imperial commerce vessels for slaves to spank. The agents must commandeer His Righteous Twerks, a vessel hauling g-strings and shackles through one of the naughtiest sectors of the Imperium. They must hide aboard the ship and wait for the Dark Eldar to attack. Flaycheeks won’t be able to avoid the juicy target, but what will the inquisitors do when he springs the trap at the same time as a confused contingent of Tau believing the vessel is in need of assistance. 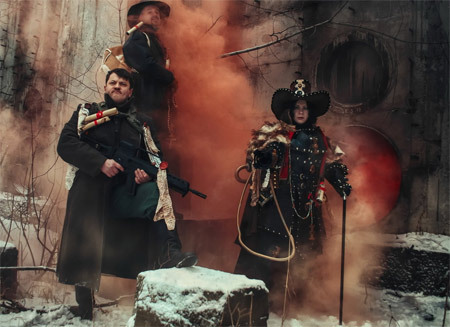 Inquisitor Seamus O’Doul has been possessed by a gluttonous daemon and needs to be transported for trial to the sinister Inquisitorial Sector Citadel. The agents collect him from a wartorn hive world and leave on a vessel bound for the Citadel. However, a warp drive malfunction transports the daemon-possessed inquisitor and the agents to the sector’s pub world, where he immediately escapes their custody and begins a depraved crusade of drinking. The only way to catch him is to follow his crawl from pub to pub, drinking Imperial ales and getting properly bladdered along the way. By the end of their epic journey, will the shitfaced investigators feel like capturing Seamus O’Doul or singing rounds of blasphemous drinking songs with him? An agent of the Officio Assassinorum has succeeded in assassinating the heretical mayor of the hive city of Festus Arrestus, which is responsible for supplying the entire sector with edible arrangements. Because of ancient laws in the hive, the man who kills the mayor becomes the mayor, and now an Eversor assassin is the mayor of Festus Arrestus. Worse still, he immediately becomes corrupt and enacts policies such as limiting the work day to 16 hours and no longer employing children in the doom furnaces. This threatens to disrupt the flow of edible arrangements throughout the sector. Without this, how will aunts be wished happy birthday? How will new employees be welcomed to the Administratum? The greeting card forge world is already under siege by orks. The agents must step in and deal with the rogue assassin.